Mmmmmmm nice, but how nice!!!!! So you have a sweet tooth, a sugar issue, maybe even a sugar addiction. Lets see whats gong on. Often as children we learn that by eating sweets we feel better. At some deep level we realise we are able to release our happy hormones through sweets. We can begin a cycle of eating certain foods to make us feel good. However, before we realise it, we are reliant on sugar. The more sugar we eat, the more we need to obtain the same release of hormones that make us feel good. 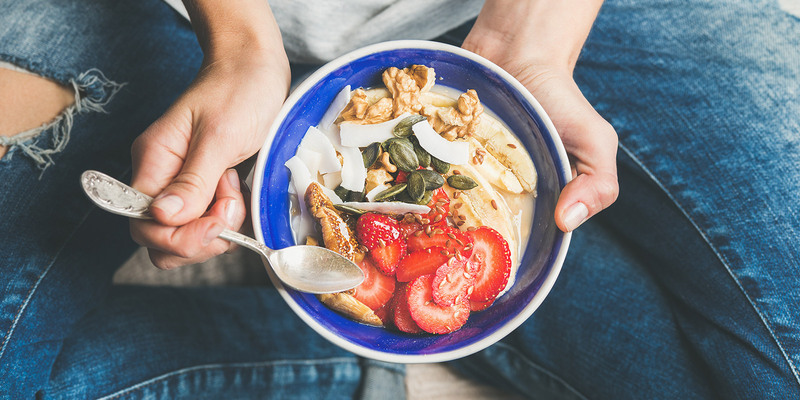 Most often, a dependence on sugar means the body has altered the way it produces hormones, making the body more reliant on sugar. Increasingly more sugar is used to mask any discomfort. Gradually with time, greater quantities are needed to achieve the same effect. Have discomfort from sugar withdrawal? Feel less able to cope and feel overwhelmed? Oh oh…….it could be that you have developed an addiction to sugar. When we eat sugar, it creates an artificial appetite, which causes cravings. Excessive sugar can make blood sugar go up and down regularly. You may experience hunger pangs, the shakes, perspiration and other symptoms. 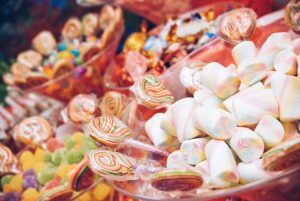 How does sugar addiction develop? Sugar hijacks our bod’s natural production of Serotonin and Endorphin. Serotonin is used by our body to promote relaxation, peacefulness, relief from pain and decrease in anxiety. When refined carbohydrates are eaten such as sugar products, pasta, alcohol, bread etc, serotonin is manufactured and released into the body to provide relief and calmness. So a learned behaviour is developed to repeat the cycle of eating sugar. If we have past experience of relief and calmness by eating sugar, the subconscious mind will automatically direct us to repeat eating sugar. Putting it simply, if sugar alleviates discomfort or anxiety, your subconscious will ask for it again. The problem cycle is created. The more we use sugar to produce serotonin, the more we interfere with the brains ability to produce it naturally. Reliance on sugar only intensifies the need. Most importantly serotonin decreases the appetite levels. It is the feedback loop that tells us when we have had enough food. So if your addiction to sugar has interfered with our body’s natural serotonin levels…. No wonder you can’t stop eating it!!!!! Endorphins are used by the body to give relief from pain and to increase a sensation of pleasure. If the body’s production of serotonin is insufficient it is likely that feelings of stress and pain may be more acutely experienced. For some people eating sweets, and complex carbohydrates releases endorphins in the blood stream, relieving discomfort and increasing feelings of pleasure. However, if you eat sugar, a hormone called the beta-endorphin is released. Beta-endorphin is identified as a chemical that stimulates eating. So the more sugar you eat, the greater the irresistible craving to eat more. The symptom of this problem is the difficulty of stopping eating sugar once you have started.